MB8 Series Metal Box Speakers is an all-steel surface-mounted enclosure with an 8" cone loudspeaker. 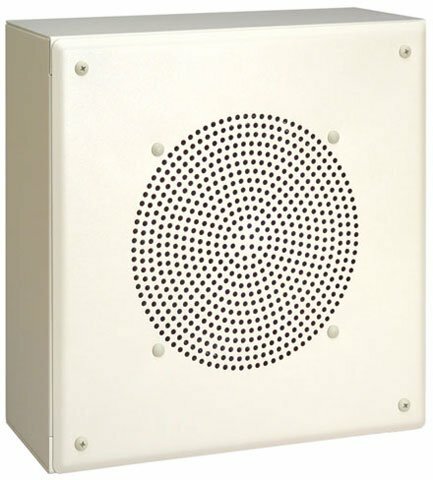 The MB8 Series Metal Box Speakers also features a multi-tap 4 watt transformer. It is compatible with both 25V and 70V amplifier systems. It is suitable for ceiling or wall mounting and ships with mounting hardware such as toggle bolts, wood screws and wire crimps. The Bogen MB8TSLVR is also known as BOG-MB8TSLVR	.